Benjamin William Hilfenhaus (born 15 March 1983, in Ulverstone, Tasmania) is an Australian cricketer who plays for Tasmania in Australian domestic cricket. He is right-arm fast-medium bowler known for his ability to swing the ball. 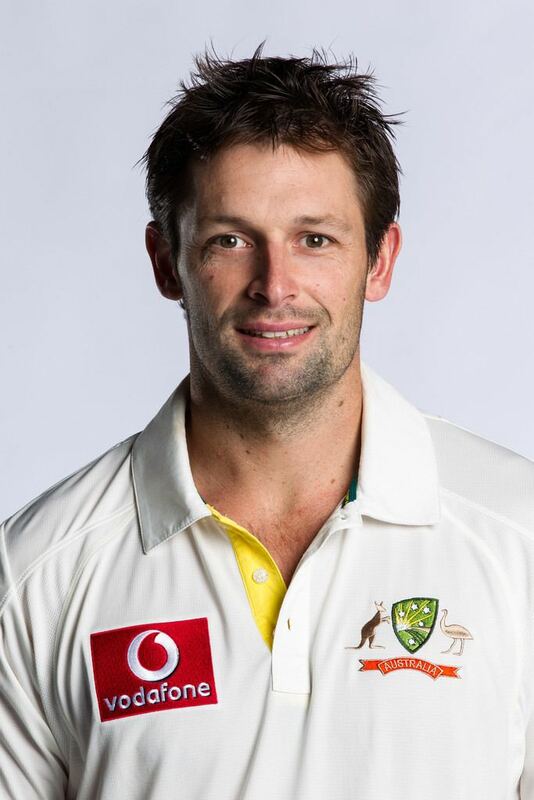 Hilfenhaus plays club cricket for Tasmania University Cricket Club. He made his first-class debut in the 2005/06 season and his haul of 39 wickets was a record for someone playing their first season for Tasmania. Before he was given a full-time contract for 2006/07, he worked as a bricklayer as well as playing cricket. He has best bowling figures of 7/58 in first-class cricket, achieved in his first season for Tasmania. In January 2007 Hilfenhaus made his One Day International (ODI) and Twenty20 International (T20I) debuts for Australia. The following month he was named the Bradman Young Cricketer of the Year. The 2006/07 season saw Hilfenhaus named Tasmanias Player of the Year as the club won the Pura Cup for the first time. Due to injury setbacks he had to wait until 2009 before making his Test debut. The 19-year-old Hilfenhaus was one of 25 young players given scholarships to go to the Commonwealth Bank Cricket Academy in May 2002, and later that year he was given a rookie contract with Tasmania for the 2002/03 season. In 2003 Hilfenhaus was again included in the 25-man intake to the CB Cricket Academy. It was not until 17 October 2005 that he made his senior debut aged 22, playing for Tasmania in the Pura Cup, Australias first-class competition. The match ended in a draw and Hilfenhaus took a single wicket, that of Mitchell Johnson bowled, while conceding 126 runs. For the 2005/06 season Hilfenhaus still had a rookie contract and also worked as a bricklayer. That season he claimed 39 wickets in the Pura Cup at an average of 30.82, breaking the record set by West Indian Michael Holding for most first-class wickets in their first season for Tasmania. Hilfenhaus was rewarded with a full contract with Tasmania for the first time and he was given a place in the Australia "A" squad for the winter Top End series. He had previously represented Australia at under-19 level. The 2006/07 was even more successful for Hilfenhaus who won the Ricky Ponting Medal, awarded to Tasmanias Player of the Year. In eleven Pura Cup matches he took 60 wickets, including seven wickets in the final to help his team win the cup for the first time. Hilfenhaus made his International début in a Twenty20 international for Australia against England at the Sydney Cricket Ground on 9 January 2007. He bowled four overs and took two wickets for 16 runs. This was followed up by selection in the one-day team for the One Day International on 14 January against New Zealand at Bellerive Oval, his state teams home ground. He took his first ODI wicket (Brendon McCullum) in his second over. Hilfenhaus quickly became a local favourite, with the crowd cheering "Hilfy" whenever he was involved in play. 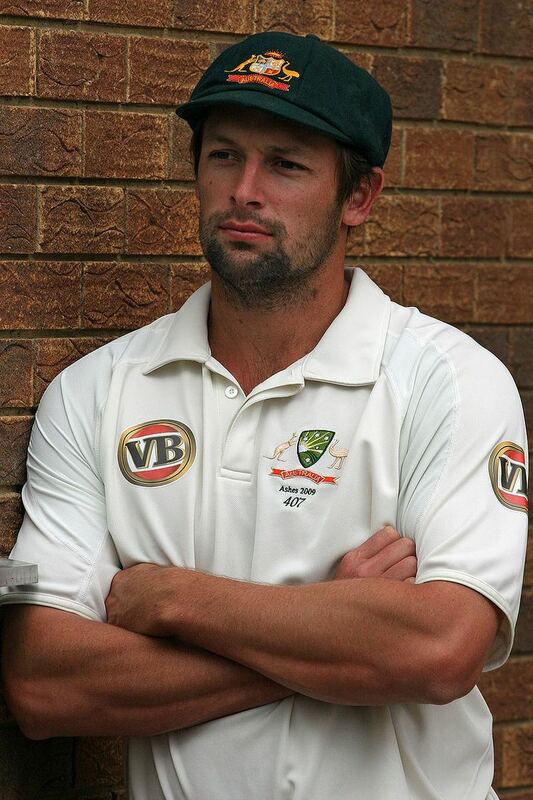 In February Hilfenhaus was named the Bradman Young Cricket of the Year. Cricket Australia announced its 25 contracted players in May 2007 and Hilfenhaus was included in on the list for the first time. He was included in Australias squad for the 2007 Twenty20 World Championship, his first tour with the senior national side, as a replacement for Shaun Tait. and the One Day International tour of India. He also received a call up to the Test squad to take on Sri Lanka when South Australian fast bowler Shaun Tait was ruled out with injury. However, he did not get to add to his international appearances on any of the above occasions. Hilfenhaus was chosen in Australias 15-man Test squad to tour the West Indies in May 2008. A stress fracture of the back prevented him from departing with the touring party and ruled him out of playing; instead fellow fast bowler Doug Bollinger was selected in his place. Hilfenhaus is primarily a swing bowler, relying on moving the ball away from right handed batsmen. During an interview in 2010, he explained that he is able to bowl when conditions do not suit him: "When the balls not swinging for me the role does change a little bit ... I see myself more as a dot bowler than a wicket-taker like Mitch [Johnson] when the ball stops swinging for me. Ive just got to build pressure and do the team thing."